Hello! 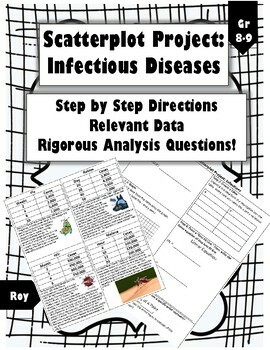 This fun project helps kids understand the importance of scatterplots and trends in connection to infectious diseases. 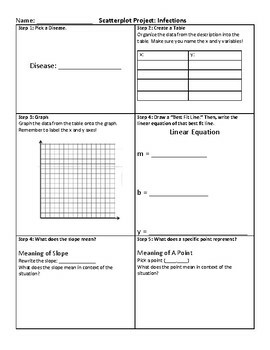 It is a self-directed project with step by step directions so students know what is expected of them. 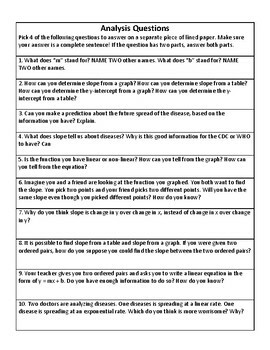 4 options are given, allowing students to choose which disease they prefer to focus on. They graph the data, analyze a best fit line, then answer rigorous analysis questions. 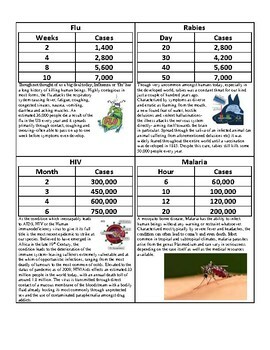 My students love this project as it sparks interesting conversations about the "scariest" infectious diseases. Data was gathered from the CDC and WHO aligned websites. Check out my Scatterplots Bundle for more resources!